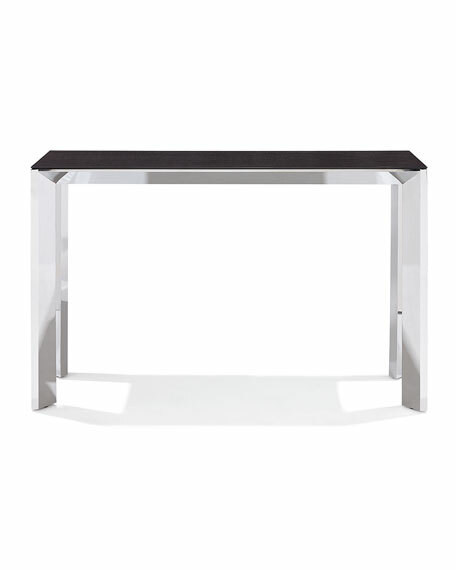 Featuring a polished nickel base and a smoked grey oak surface, this console is where sleekness and elegance make a stunning collaboration. Stainless steel frame with wood accents. Light assembly may be required; instructions and hardware included. 52"W x 14"D x 32"T.